At least six hours before serving (we recommend the night before), pour the rosé into a pan or jug, cover, and place in the freezer. When you’re ready to serve, take the frozen rosé out of the fridge and transfer it into your Kilner® cocktail shaker. Add the lemon juice and sugar to taste and give it a good shake. 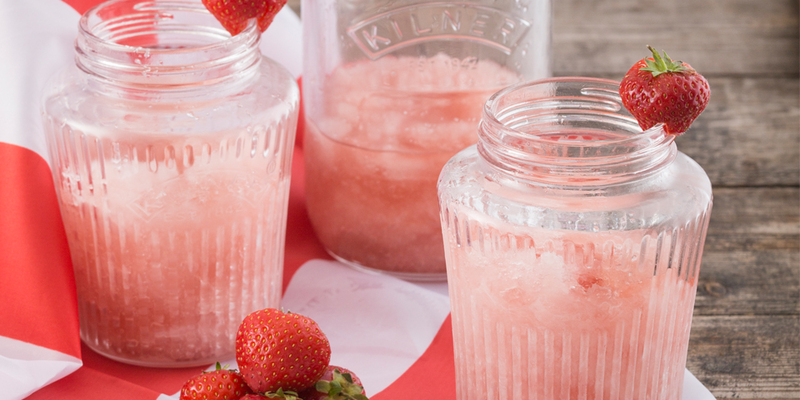 Serve in Kilner® Jars, garnish with a strawberry and enjoy!